The passing time and its core idea of quality over quantity have made El Maestro Sierra wines into little works of art; wines of extreme age and quality, and recognized all over the world. 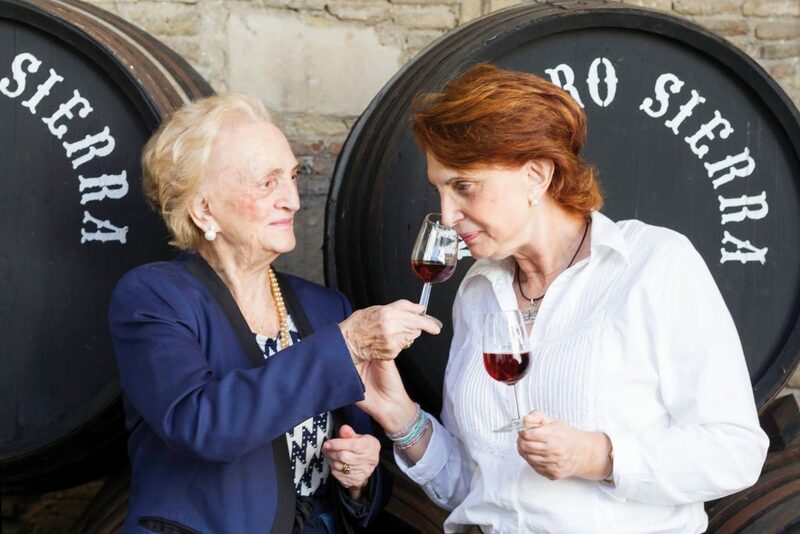 That is the summary of the philosophy of the winery that, after a stage of direction since 1976 by the exceptional figure of Mrs. Pilar Plá Pechovierto, now faces a new one with her daughter, Maria del Carmen Borrego Plá. A calm and gradual transfer throughout the last years in which the winery, teacher and scientist has been adding to the already extraordinary business work of her mother her personal imprint deepening with scientific rigor in the diffusion of the Sherry wines culture. Before and now, in the new stage, the winery has deserved to be included, twice in the last ten years among the 100 Best Wineries in the World, in 2011 and 2017. «The language is wine on the lips».